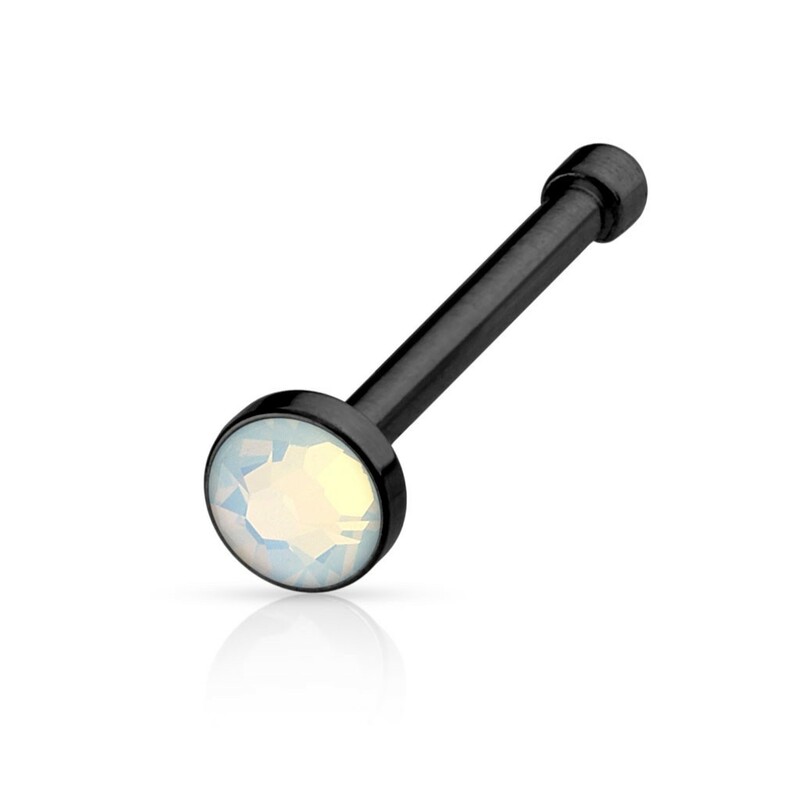 A neat and easy to place or remove nose piercing. 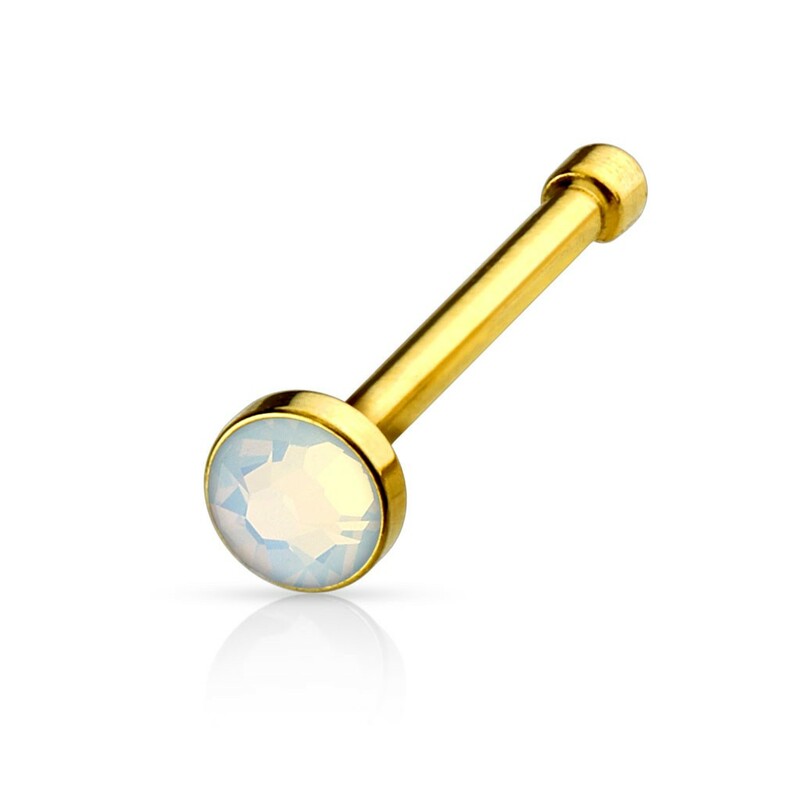 This nose piercing is available in a (rose) gold plated version or in black. All three carrie a small clear Opalite stone which is 2 mm in size. Opalite is especially known for its crisp look.